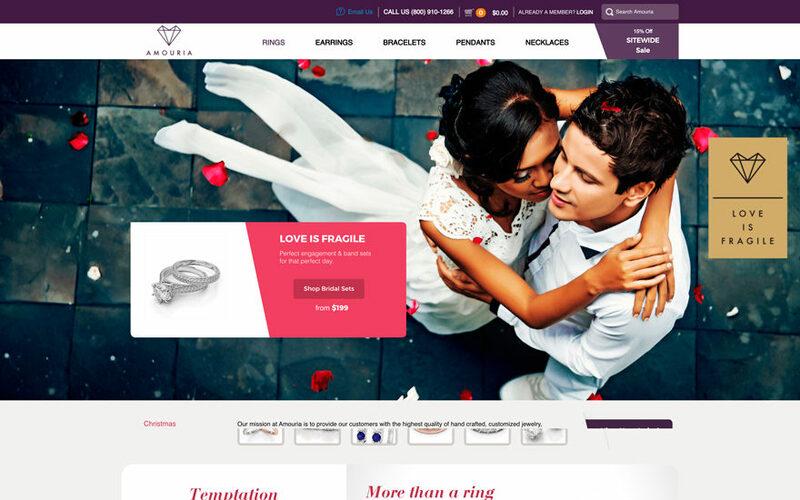 Despite the external resemblance to Grandeur, Amouria required a completely different approach to development – it was a B2C e-commerce web store. In addition to the standard functions, Amouria had a number of complex third-party extensions. 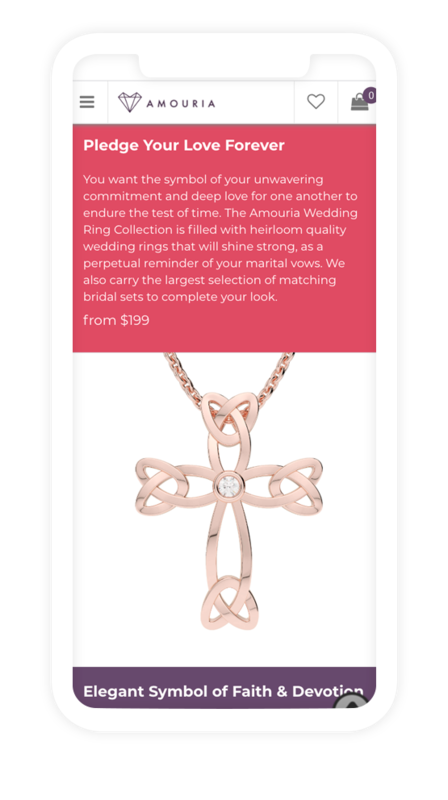 The most tricky but interesting part was “Create your custom ring” module, allowing a customer to choose a unique gem for his ring. We’ve installed a ready-made third-party extension, but adjusted its layout and functionality for client’s needs. Developing a complex project with a large number of extensions always leads to potential problems with their compatibility. To avoid it we applied only the best practices of Magento website development. We’ve chosen only the best well-written extensions and customized it for better performance. And of course, we’ve developed a numerous amount of project parts as well. Newizze were responsible not only for development but also for website support. We’re proud to say that we’ve never disappointed our customer with the timing of solving problems. 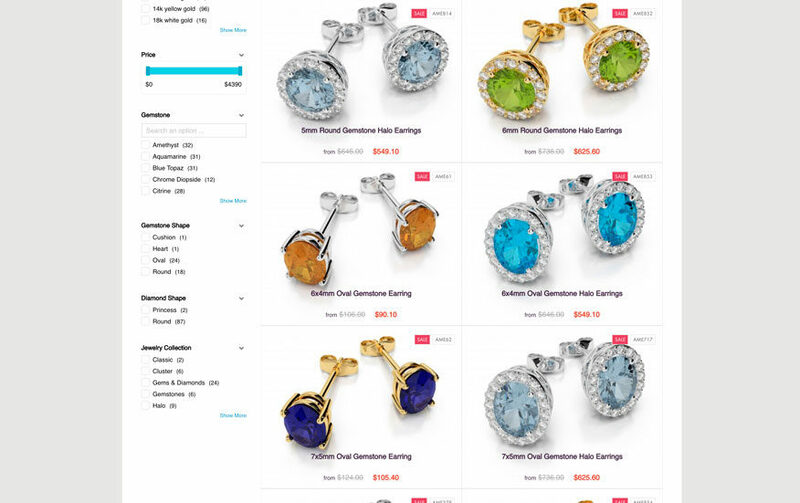 The project is working successfully many years and isn’t only generating profits from online sales but also promoting the offline business of its owner. We use the latest Magento 1.9.X version with standard Magento shop server set up: Apache, PHP 5.6, MySQL 5.6. Frontend part used various jQuery-based js libraries. Magento community offers different solutions and ready-made extensions for almost all customer needs and cases, but even that may be not enough. We developed a lot of custom modules in addition to installed and customized 3rd party ones. We’ve migrated the project to Nexcess Magento hosting for better performance and premium optimization features. We got the project in non-responsive layout state, therefore we’ve decided to rework it and implement CSS codes in a mobile-friendly way, making the website available for all possible platforms.